THERE was only one possible objection to the drawing-room, and that was the occasional presence of Miss Carew; and only one possible objection to Miss Carew. And that was, that she was dead. She had been dead twenty years, as a matter of fact and record, and to the last of her life sacredly preserved the treasures and traditions of her family, a family bound up -- as it is quite unnecessary to explain to any one in good society -- with all that is most venerable and heroic in the history of the Republic. Miss Carew never relaxed the proverbial hospitality of her house, even when she remained its sole representative. She continued to preside at her table with dignity and state, and to set an example of excessive modesty and gentle decorum to a generation of restless young women. 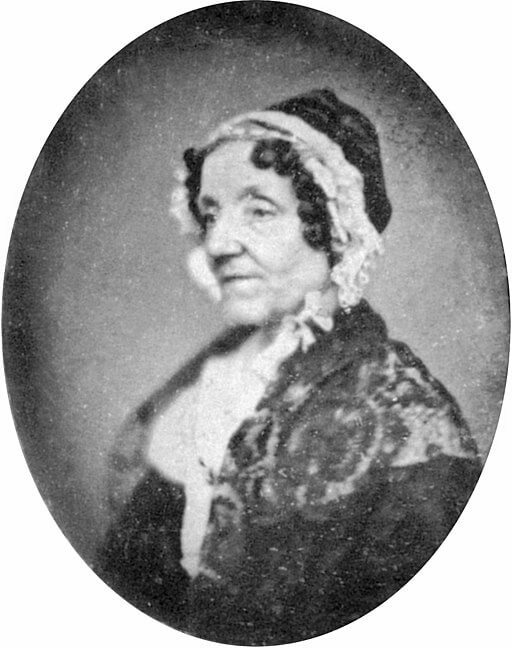 It is not likely that having lived a life of such irreproachable gentility as this, Miss Carew would have the bad taste to die in any way not pleasant to mention in fastidious society. She could be trusted to the last, not to outrage those friends who quoted her as an exemplar of propriety. She died very unobtrusively of an affection of the heart, one June morning, while trimming her rose trellis, and her lavender-colored print was not even rumpled when she fell, nor were more than the tips of her little bronze slippers visible. "Isn't it dreadful," said the Philadelphians, "that the property should go to a very, very distant cousin in Iowa or somewhere else on the frontier, about whom nobody knows anything at all?" The Carew treasures were packed in boxes and sent away into the Iowa wilderness; the Carew traditions were preserved by the Historical Society; the Carew property, standing in one of the most umbrageous and aristocratic suburbs of Philadelphia, was rented to all manner of folk -- anybody who had money enough to pay the rental -- and society entered its doors no more. But at last, after twenty years, and when all save the oldest Philadelphians had forgotten Miss Lydia Carew, the very, very distant cousin appeared. He was quite in the prime of life, and so agreeable and unassuming that nothing could be urged against him save his patronymic, which, being Boggs, did not commend itself to the euphemists. With him were two maiden sisters, ladies of excellent taste and manners, who restored the Carew china to its ancient cabinets, and replaced the Carew pictures upon the walls, with additions not out of keeping with the elegance of these heirlooms. Society, with a magnanimity almost dramatic, overlooked the name of Boggs -- and called. All was well. At least, to an outsider all seemed to be well. But, in truth, there was a certain distress in the old mansion, and in the hearts of the well-behaved Misses Boggs. It came about most unexpectedly. The sisters had been sitting upstairs, looking out at the beautiful grounds of the old place, and marvelling at the violets, which lifted their heads from every possible cranny about the house, and talking over the cordiality which they had been receiving by those upon whom they had no claim, and they were filled with amiable satisfaction. Life looked attractive. They had often been grateful to Miss Lydia Carew for leaving their brother her fortune. Now they felt even more grateful to her. She had left them a Social Position -- one, which even after twenty years of desuetude, was fit for use. They descended the stairs together, with arms clasped about each other's waists, and as they did so presented a placid and pleasing sight. They entered their drawing-room with the intention of brewing a cup of tea, and drinking it in calm sociability in the twilight. But as they entered the room they became aware of the presence of a lady, who was already seated at their tea-table, regarding their old Wedgewood with the air of a connoisseur. There were a number of peculiarities about this intruder. To begin with, she was hatless, quite as if she were a habitué of the house, and was costumed in a prim lilac-colored lawn of the style of two decades past. But a greater peculiarity was the resemblance this lady bore to a faded daguerrotype. If looked at one way, she was perfectly discernible; if looked at another, she went out in a sort of blur. Notwithstanding this comparative invisibility, she exhaled a delicate perfume of sweet lavender, very pleasing to the nostrils of the Misses Boggs, who stood looking at her in gentle and unprotesting surprise. "I beg your pardon," began Miss Prudence, the younger of the Misses Boggs, "but --"
But at this moment the Daguerrotype became a blur, and Miss Prudence found herself addressing space. The Misses Boggs were irritated. They had never encountered any mysteries in Iowa. They began an impatient search behind doors and portières, and even under sofas, though it was quite absurd to suppose that a lady recognizing the merits of the Carew Wedgewood would so far forget herself as to crawl under a sofa. When they had given up all hope of discovering the intruder, they saw her standing at the far end of the drawing-room critically examining a water-color marine. The elder Miss Boggs started toward her with stern decision, but the little Daguerrotype turned with a shadowy smile, became a blur and an imperceptibility. "If there were ghosts," she said, "this would be one." "If there were ghosts," said Miss Prudence Boggs, "this would be the ghost of Lydia Carew." The twilight was settling into blackness, and Miss Boggs nervously lit the gas while Miss Prudence ran for other tea-cups, preferring, for reasons superfluous to mention, not to drink out of the Carew china that evening. The next day, on taking up her embroidery frame, Miss Boggs found a number of oldfashioned cross-stitches added to her Kensington. Prudence, she knew, would never have degraded herself by taking a cross-stitch, and the parlor-maid was above taking such a liberty. Miss Boggs mentioned the incident that night at a dinner given by an ancient friend of the Carews. "Oh, that's the work of Lydia Carew, without a doubt!" cried the hostess. "She visits every new family that moves to the house, but she never remains more than a week or two with any one." "It must be that she disapproves of them," suggested Miss Boggs. "I think that's it," said the hostess. "She doesn't like their china, or their fiction." "I hope she'll disapprove of us," added Miss Prudence. The hostess belonged to a very old Philadelphian family, and she shook her head. "I should say it was a compliment for even the ghost of Miss Lydia Carew to approve of one," she said severely. The next morning, when the sisters entered their drawing-room there were numerous evidences of an occupant during their absence. The sofa pillows had been rearranged so that the effect of their grouping was less bizarre than that favored by the Western women; a horrid little Buddhist idol with its eyes fixed on its abdomen, had been chastely hidden behind a Dresden shepherdess, as unfit for the scrutiny of polite eyes; and on the table where Miss Prudence did work in water colors, after the fashion of the impressionists, lay a prim and impossible composition representing a moss-rose and a number of heartsease, colored with that caution which modest spinster artists instinctively exercise. "Oh, there's no doubt it's the work of Miss Lydia Carew," said Miss Prudence, contemptuously. There's no mistaking the drawing of that rigid little rose. Don't you remember those wreaths and bouquets framed, among the pictures we got when the Carew pictures were sent to us? I gave some of them to an orphan asylum and burned up the rest." "Hush!" cried Miss Boggs, involuntarily. "If she heard you, it would hurt her feelings terribly. Of course, I mean --" and she blushed. "It might hurt her feelings -- but how perfectly ridiculous! It's impossible!" Miss Prudence held up the sketch of the moss-rose. "THAT may be impossible in an artistic sense, but it is a palpable thing." "But," protested Miss Prudence, "how do you explain it?" "I don't," said Miss Boggs, and left the room. That evening the sisters made a point of being in the drawing-room before the dusk came on, and of lighting the gas at the first hint of twilight. They didn't believe in Miss Lydia Carew -- but still they meant to be beforehand with her. They talked with unwonted vivacity and in a louder tone than was their custom. But as they drank their tea even their utmost verbosity could not make them oblivious to the fact that the perfume of sweet lavender was stealing insidiously through the room. They tacitly refused to recognize this odor and all that it indicated, when suddenly, with a sharp crash, one of the old Carew tea-cups fell from the tea-table to the floor and was broken. The disaster was followed by what sounded like a sigh of pain and dismay. "I didn't suppose Miss Lydia Carew would ever be as awkward as that," cried the younger Miss Boggs, petulantly. "Prudence," said her sister with a stern accent, "please try not to be a fool. You brushed the cup off with the sleeve of your dress." "Your theory wouldn't be so bad," said Miss Prudence, half laughing and half crying, "if there were any sleeves to my dress, but, as you see, there aren't," and then Miss Prudence had something as near hysterics as a healthy young woman from the West can have. "I wouldn't think such a perfect lady as Lydia Carew," she ejaculated between her sobs, "would make herself so disagreeable! You may talk about good-breeding all you please, but I call such intrusion exceedingly bad taste. I have a horrible idea that she likes us and means to stay with us. She left those other people because she did not approve of their habits or their grammar. It would be just our luck to please her." "Well, I like your egotism," said Miss Boggs. However, the view Miss Prudence took of the case appeared to be the right one. Time went by and Miss Lydia Carew still remained. When the ladies entered their drawing-room they would see the little lady-like Daguerrotype revolving itself into a blur before one of the family portraits. Or they noticed that the yellow sofa cushion, toward which she appeared to feel a peculiar antipathy, had been dropped behind the sofa upon the floor, or that one of Jane Austen's novels, which none of the family ever read, had been removed from the book shelves and left open upon the table. "I cannot become reconciled to it," complained Miss Boggs to Miss Prudence. "I wish we had remained in Iowa where we belong. Of course I don't believe in the thing! No sensible person would. But still I cannot become reconciled." But their liberation was to come, and in a most unexpected manner. A relative by marriage visited them from the West. He was a friendly man and had much to say, so he talked all through dinner, and afterward followed the ladies to the drawing room to finish his gossip. The gas in the room was turned very low, and as they entered Miss Prudence caught sight of Miss Carew, in company attire, sitting in upright propriety in a stiff-backed chair at the extremity of the apartment. "We will not turn up the gas," she said, with an emphasis intended to convey private information to her sister. "It will be more agreeable to sit here and talk in this soft light." Neither her brother nor the man from the West made any objection. Miss Boggs and Miss Prudence, clasping each other's hands, divided their attention between their corporeal and their incorporeal guests. Miss Boggs was confident that her sister had an idea, and was willing to await its development. As the guest from Iowa spoke, Miss Carew bent a politely attentive ear to what he said. "Ever since Richards took sick that time," he said briskly, "it seemed like he shed all responsibility." (The Misses Boggs saw the Daguerrotype put up her shadowy head with a movement of doubt and apprehension.) "The fact of the matter was, Richards didn't seem to scarcely get on the way he might have been expected to." (At this conscienceless split to the infinitive and misplacing of the preposition, Miss Carew arose trembling perceptibly.) I saw it wasn't no use for him to count on a quick recovery --"
The Misses Boggs lost the rest of the sentence, for at the utterance of the double negative Miss Lydia Carew had flashed out, not in a blur, but with mortal haste, as when life goes out at a pistol shot! And their brother was amazed to see Miss Boggs kiss Miss Prudence with passion and energy. Add A Grammatical Ghost to your own personal library.